YouTubers are always massive talking points and trend setters for things happening on YouTube and all over the Internet in general. Their influence and power is basically unavoidable at this point, but they might just regret what they're famous for at the moment thanks to this hilarious new meme. Based on the idea that storytime YouTubers often completely over-dramatise all their video titles, are you ready to find out some of the best storytime memes on the Internet right now? Thanks to the likes of KnowYourMeme for cataloguing the very beginning of the trend in mid-December 2016, the joke has spread like wildfire through Twitter and Tumblr - so here's the 18 best ones to finish up 2016. Because you didn't all think Pen Pineapple Apple Pen would be the last meme of 2016 did you?! TBH, I would be offended over Diet Coke as well. It's just wrong. Don't come for me OR tonights homework. Tana, you're better than this. 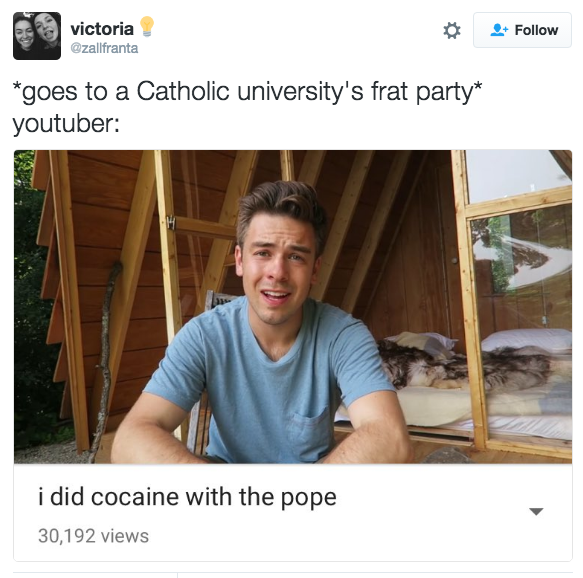 Dunno about where the line starts, but this YouTuber definitely crossed it. Me: hey is this where the line starts? What a fascinating storytime! Is it gonna be true tho?!?! tbh, this is probably exactly what happened. YouTuber: STORY TIME: i got HIGH?????!! "STRANDED ON A MOUNTAIN" - this video is gonna be a wild ride from start to finish. Guy: Hey do you want to go sledding on this 4 foot pile of snow?" 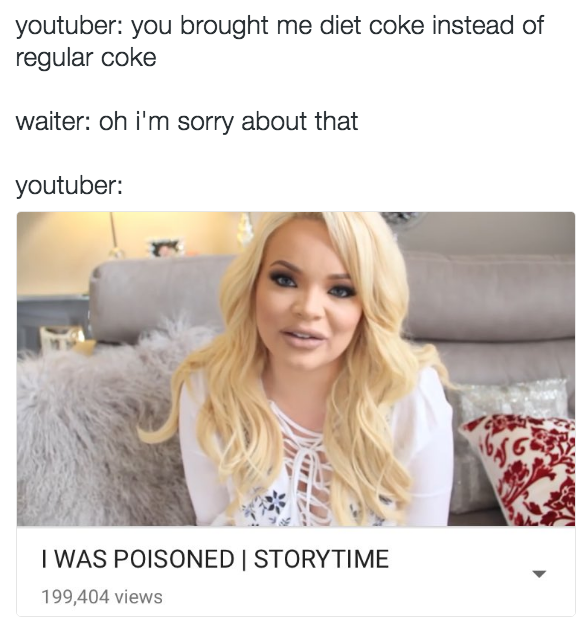 What is it with storytime YouTubers and Uber drivers tho?! uber driver: "hi is your name-"
youtuber's next video: "UBER DRIVER TRIED TO STEAL MY IDENTITY | STORYTIME"
You know YouTubers are a full-on meme when Gabbie roasted them too. Oh Kwebbelkop. Did you almost die tho? !